Sometimes life presents you an opportunity to turn tough memories into a brighter future. 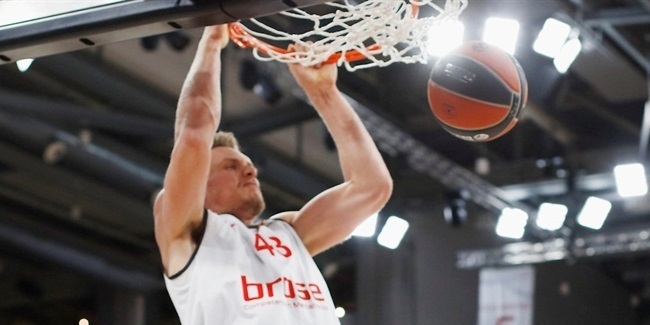 This happened to Leon Radosevic of Brose Bamberg, who recently became a German citizen. Born in Sisak, Croatia, a town in central Croatia roughly 60 kilometers southeast of Zagreb, Radosevic was not even walking or talking when his family moved away for the wrong reasons. "I lived in Germany during the war in Croatia, that was from 1991 to 1995. After that, I came back to Germany as a basketball player, first to Berlin and I am now in Bamberg. Of course, Germany means a lot to me and I love being here," Radosevic said. Life was not easy for the Radosevic family as refugees. The family did not come to Germany together. "I was living in a small city, Heidenheim, close to Ulm and Stuttgart. Of course, it was tough. I first came here with my mother and older brother. My father came later because he was captured during the war," Radosevic said. "It was really tough for my family. I was a baby and didn't really understand anything. I learned some German even though I didn't go to any kind of school or anything. Still, I learned it by playing around the house with kids. Afterwards, I continued to watch German TV when I came back to Croatia. I remember I was not talking, but I could understand everything." Eventually, the Radosevic family came back to Croatia and Leon started his professional basketball career with Cibona Zagreb in the late 2000s. Radosevic also played for EA7 Emporio Armani Milan of Italy and Lietuvos Rytas Vilnius of Lithuania before joining ALBA Berlin on loan. Even though Radosevic was familiar with the language, he had some difficulties speaking German. "I understood everything when I came back to play for ALBA Berlin, but I am still struggling to speak because here, in the team, we mostly speak English. Our coach speaks Croatian because he lived there, so actually, I don't have that many opportunities to speak much German. I am not forced to speak German and then it is harder to learn it completely," he explained. 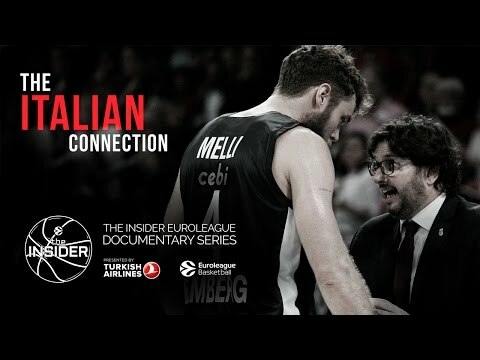 ALBA eventually kept the player and Radosevic started to gather some valuable information and learned that he could be eligible to apply for the German citizenship. But Radosevic would need adequate knowledge of German and to have completed an integration course. Again, he was able to turn a disadvantage into something positive: when he was injured, Radosevic used his time away from the courts to learn. "During my second year in Berlin, I realized I would have the opportunity to get a German passport. My father told me this. He remembered you need around six or eight years to get it. We have friends and family who still stayed in Germany after we came back, and they all had German papers. He didn't know it needed to be exactly eight years living in the country, or if we could count them like this - five years as a kid, then three as an adult several years later. We did some research and saw I could actually get a passport. 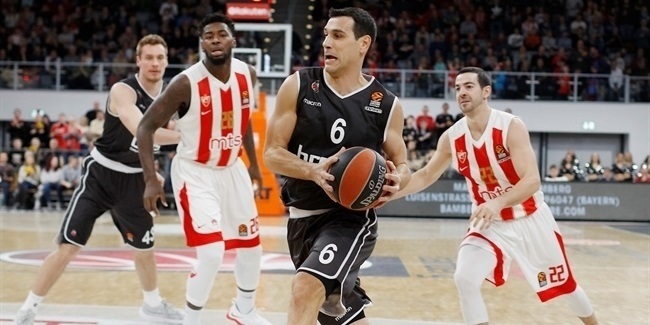 So when I came back to Bamberg, we started the procedure to get the passport," Radosevic said. But the process demanded a commitment from the big man. "I was learning and taking private lessons every day. I was injured and out of practice, so I could spend more time learning German. We had two kinds of tests and I did pretty well," he said. "For me, it was not hard, because I more or less have all the German words in my head and just needed to talk to somebody and repeat them all the time. It was much easier. The club was doing all the paperwork and we were waiting to confirm I had been here for eight years. In the end, everything was fine." Having Radosevic as an extra German player gives Bamberg the chance to play domestic competitions with a stronger lineup. Still, there is more to life than basketball and Radosevic also wanted to get the German citizenship because it is his country of choice. "I got the passport not only for basketball reasons, but also because I have been living in Germany for so long that it is a big part of who I am. Germany is one of the strongest [countries] in Europe, if not the strongest. If you put basketball aside, it is always good to have this kind of nationality for me and my family. It is also good for the team, because I am a domestic player now and we can have one more foreigner with us in German League games. "As a kid, I don't remember much, just playing around the house. Now, what I like about German people is how professional they are about everything. No matter what they do, they are professional; they don't go out, don't cheat and don't take shortcuts. This is what may keep me living here when I stop playing basketball. This is the reason why they are such a great country, number one in Europe. They work from eight to five and when they are working, they do it hard. There is no room for drinking coffee and going outside. Everyone is actually working," Radosevic added. Radosevic is also enjoying being part of the ever-growing German League, a competition that only gets stronger every year. At first, he had some doubts, but Radosevic has really adjusted not only to the country, but to basketball in Germany. "Growing up as a basketball player with Cibona, I never thought I would come back to Germany to play here. Then I was sent on loan from Milan to Berlin, and I really resisted it because I didn't really know anything about the German League. I thought it was not an important league in Europe, but I found out it was really competitive and then I had the chance to work for a really good coach like Sasa Obradovic. I couldn't imagine how big ALBA was and how great Berlin is. "The German League is stronger every year. It is a really hard competition and I can see how it is growing year after year. Its current level is much better than when I first joined ALBA. Back then, there were three or four top teams and the rest was not that good. It was easier to play against them, but now, any middle-of-the-table team can beat you. You have to prepare the game really well in order to win. When Germans go after a goal, they go step by step until they reach it. They don't try to put great money immediately – and they could, because they are the strongest country in Europe. They could have crazy budgets right away, but are going step by step. They don't want one or two clubs to be much better than the rest, but the league to grow step by step." 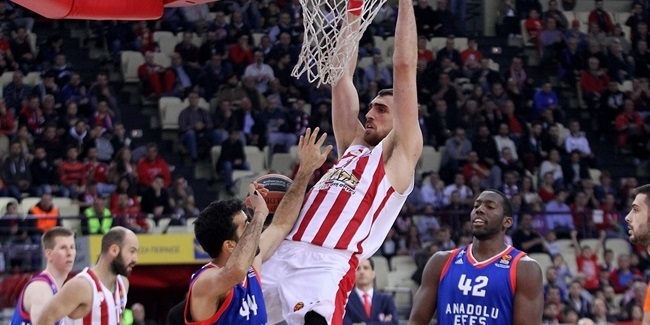 Now that he is a German citizen, Radosevic will consider his future in this country when he stops playing basketball. "So far, yes, I plan to live here in the future because like I said, I love Germany. I also feel it is more secure, financially speaking," he said. "I may live here during the winter and in Croatia during the summer months. I hope that is how my life will look like in the future. The Croatian coast, especially in the south with so many beautiful islands, is great and hard to get out of there, but then after three or four months, you start to feel the different standard between Germany and everywhere else." Even though Radosevic didn't think about being German before, he is happy to be in this situation now. "In the end, by staying in Germany for five years as a kid in a situation nobody wanted, I got something good out of that, but when I first came to Berlin, that was really not on my mind. The club said it would be a good idea to help the team, and I wouldn't have gone after the German citizenship without that. I didn't know a lot of stuff that I should have known. Now, I know that and am really happy that I actually got it, for basketball reasons or not," he said. "Anton Gavel and Bruce Taylor also got German passports after playing in Bamberg. From my point of view, it is a good policy, to try to get the best players that you can. When you have an opportunity, you have to take advantage of it, no matter how much paperwork you need. Getting German citizenship is a great opportunity, on and off the court, in basketball and in life."